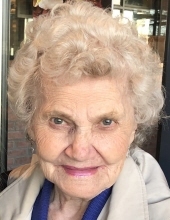 Mary Boymook went home to her Lord and Savior on Monday, January 21, 2019 at the age of 86. Mary loved Jesus immensely, had the gift of hospitality and was a stylish dresser. Mary was born in spring of 1932 to parents Julius and Ida (Fiks) Sonnenberg. She was the youngest of six children raised on a farm in Minitonas, Manitoba, Canada. Mary was very musical and enjoyed playing the piano and singing. She loved arranging flowers, cooking/entertaining and had a sweet-tooth. Mary married Arthur Boymook and together they had two daughters, Nola and Nicole. Mary and Arthur were married 55 years before Arthur’s passing in 2012. Mary is survived by her daughters Nola (Mike) Weiss and Nicole Boymook, and her two grandchildren (Christopher and Taylor). You are invited to Mary’s Memorial service. It is being held at 10 am on Saturday, February 9th at Second Christian Reformed Church (113 8th Street, Lynden) with Pastor Ben deRegt officiating. Memorials are suggested to The Lighthouse Mission, PO Box 548, Bellingham, WA 98227 or Gideon’s International, PO Box 3619 Guelph, Ontario, Canada N1H 7A2. Arrangements are entrusted to Gillies Funeral Home and Cremation Services. To send flowers or a remembrance gift to the family of Mary Boymook, please visit our Tribute Store. "Email Address" would like to share the life celebration of Mary Boymook. Click on the "link" to go to share a favorite memory or leave a condolence message for the family.